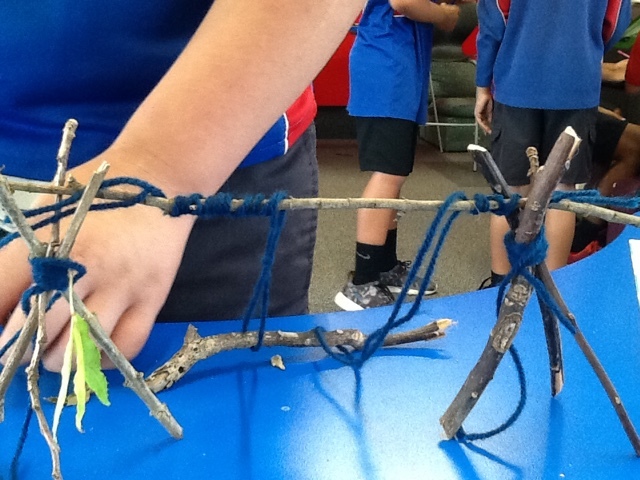 It is a swing and a bivouac together that made this structure. I thought that Bivouac Stick Swing would be the a great title for it. To make it, you need four little ropes and eight sticks for the swing.